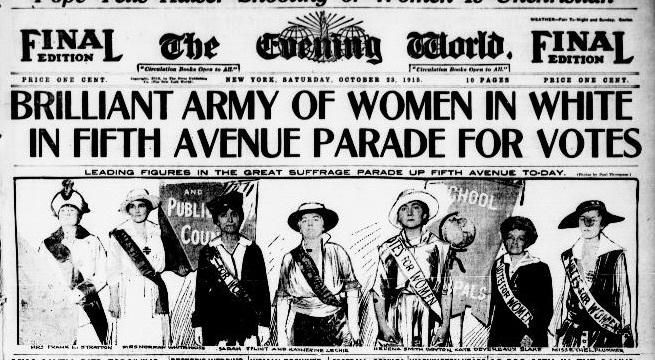 For once, the biggest news story in America one hundred years ago today was not about the war waging in Europe. 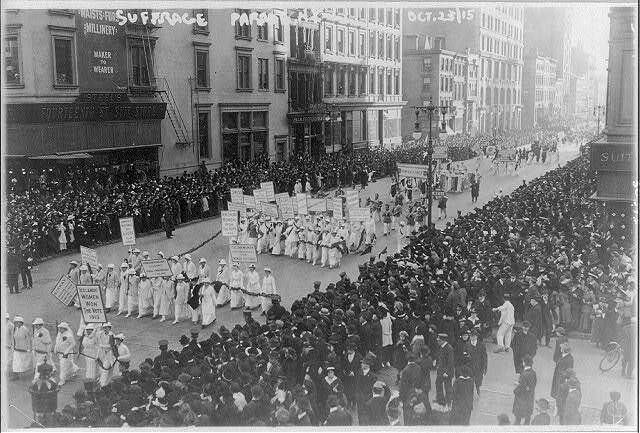 On October 23, 1915, the forces of the women’s suffrage movement mobilized to create the most ambitious gathering to date, a parade of thousands to force the issue into the consciousness of New Yorkers and American at large. 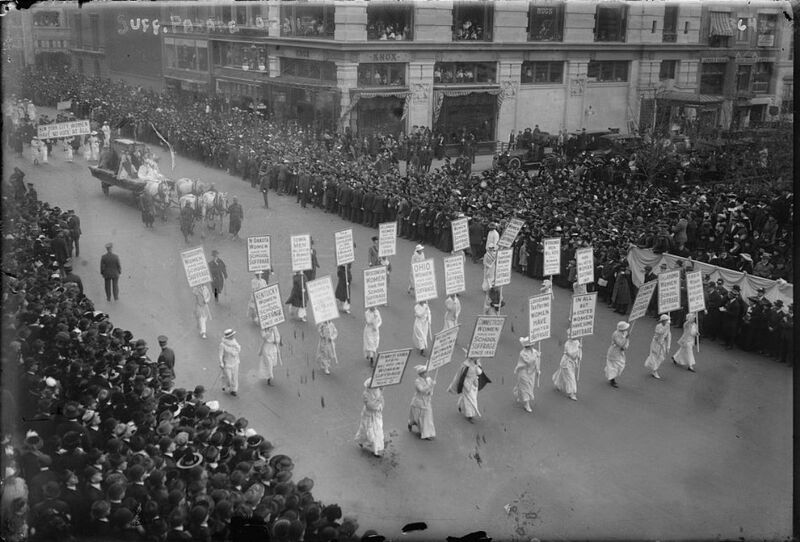 “Old women, as old as suffrage, marched. Often beside them were little girls barely in their teens. 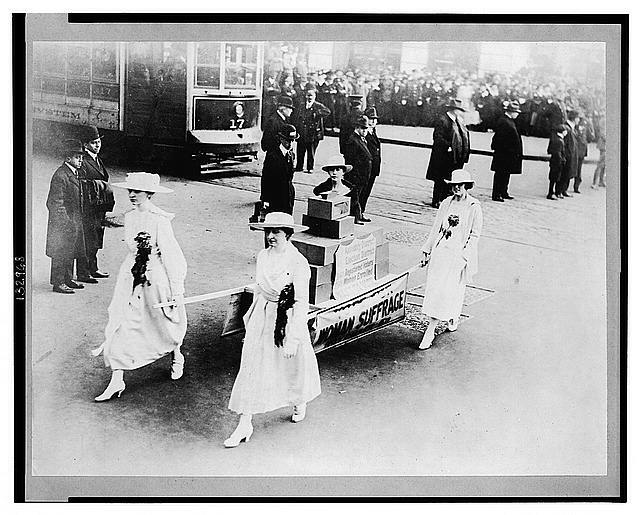 And there were even tiny babies in carts, making their appeal for their mothers’ votes. 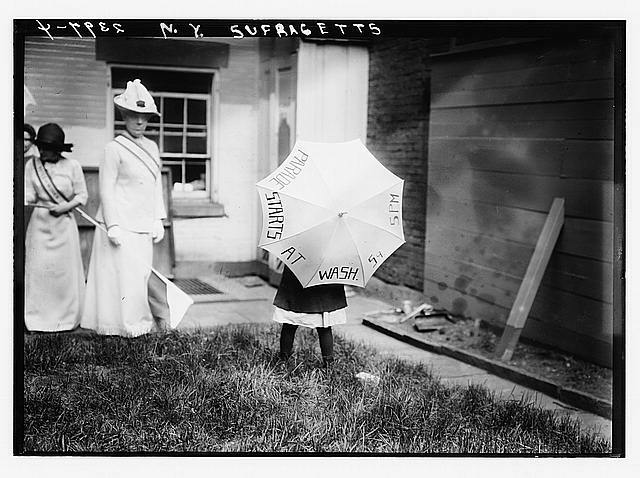 Margaret Vale, niece of President Woodrow Wilson, at the Suffrage parade. 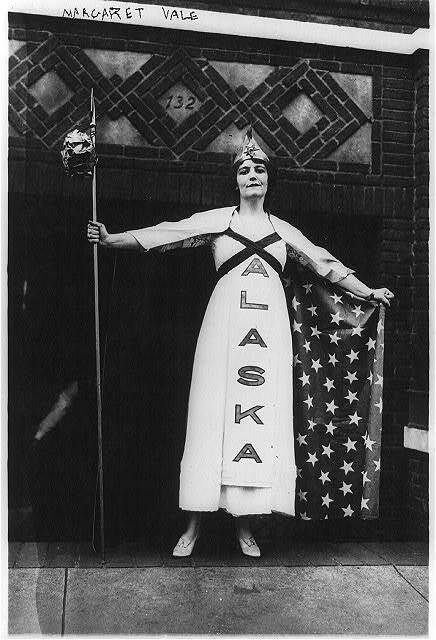 Alaska had granted women the right to vote in 1913. 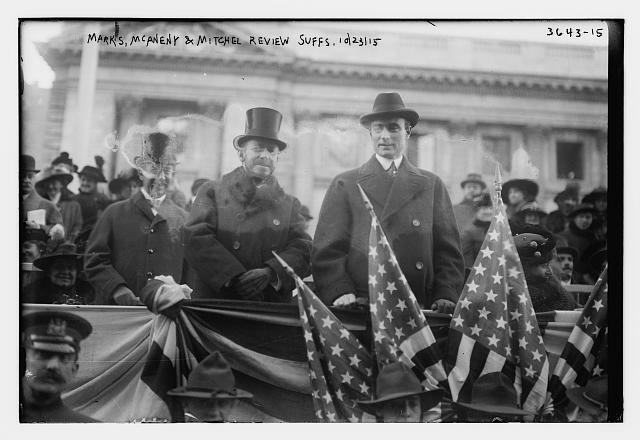 The appearance of Mayor John Purroy Mitchel (‘the boy mayor of New York‘) was considered a big boost for the marchers although it certainly would have been a major snub if the mayor has skipped such a major parade! Absent from all of the news coverage (at least the articles I reviewed) was the participation of African-American suffrage advocates. They played an active role in the movement but were most likely absent from the parade. 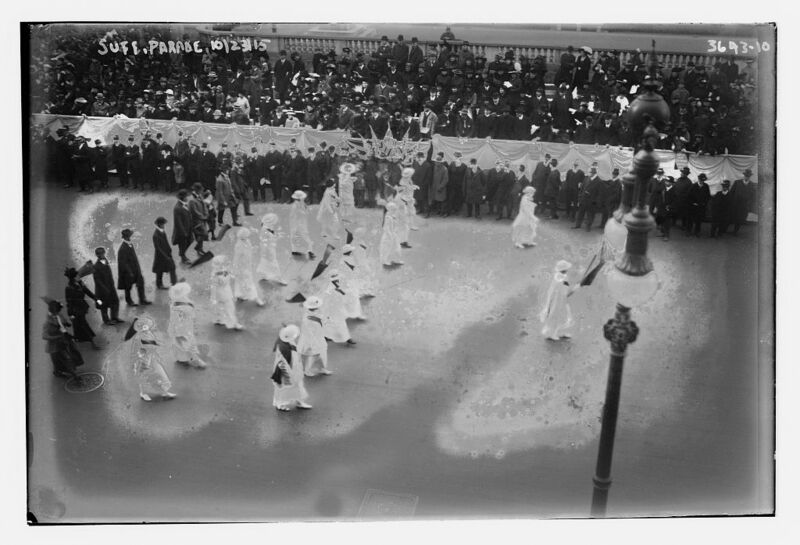 Despite this grand parade, New Yorkers defeated a referendum on suffrage the following month. 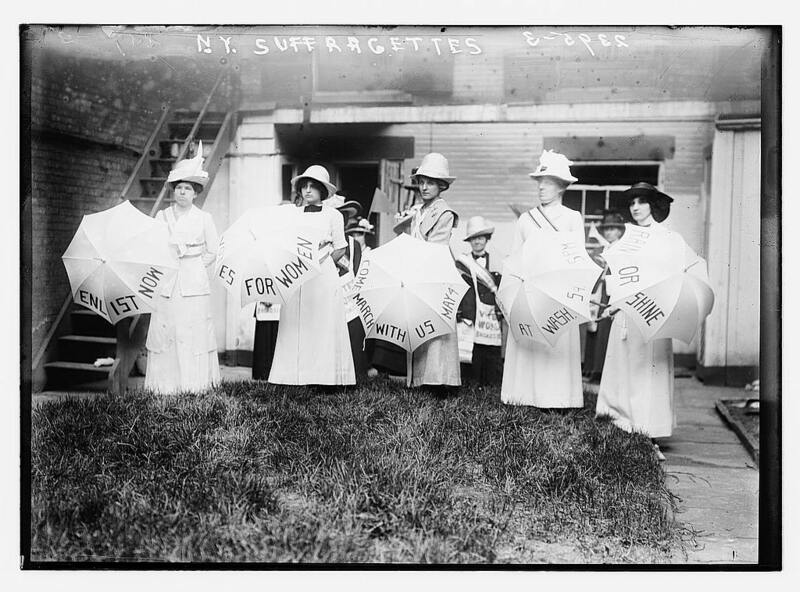 A little over two years later — on November 6, 1917 — the women of New York state would win the right to vote. 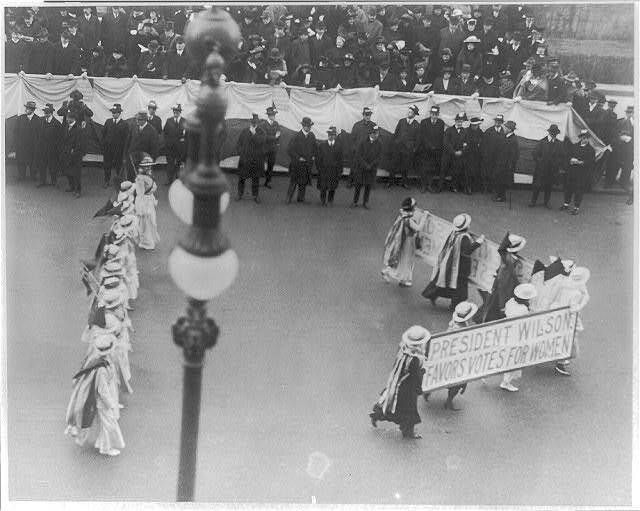 The Nineteenth Amendment, ensuring the vote for all American women, was ratified on August 18, 1920.